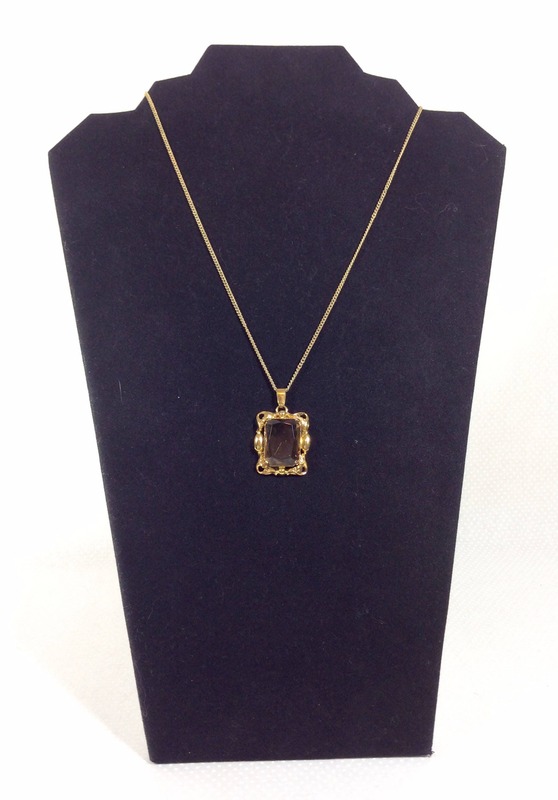 This lovely pendant necklace will pair perfectly with just about any outfit! The necklace was made in the late 1960s from premium costume jewelry materials. 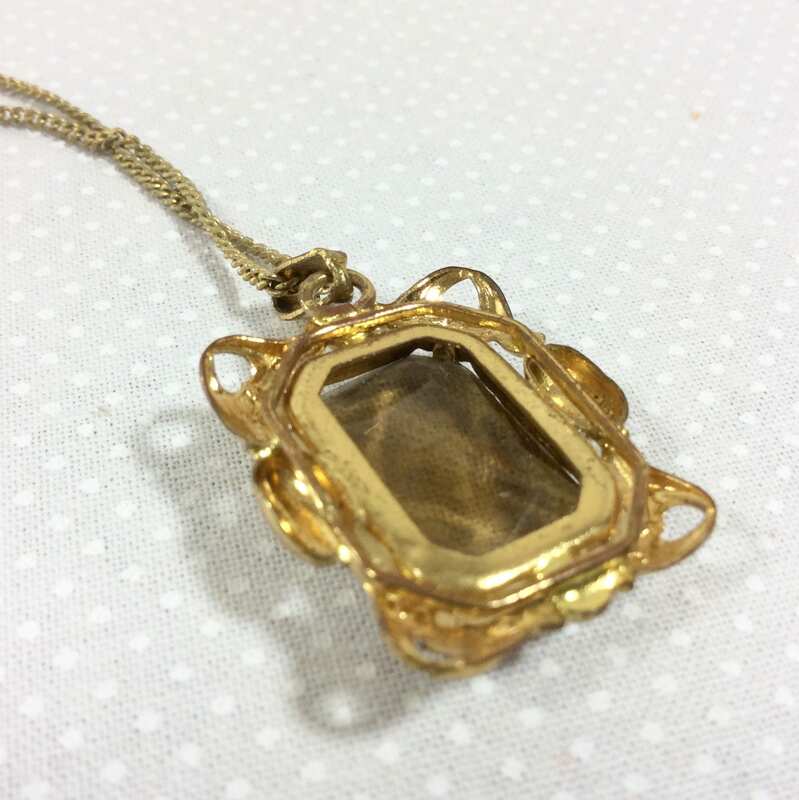 The pendant is rectangular in shape with a guilded filigree frame. 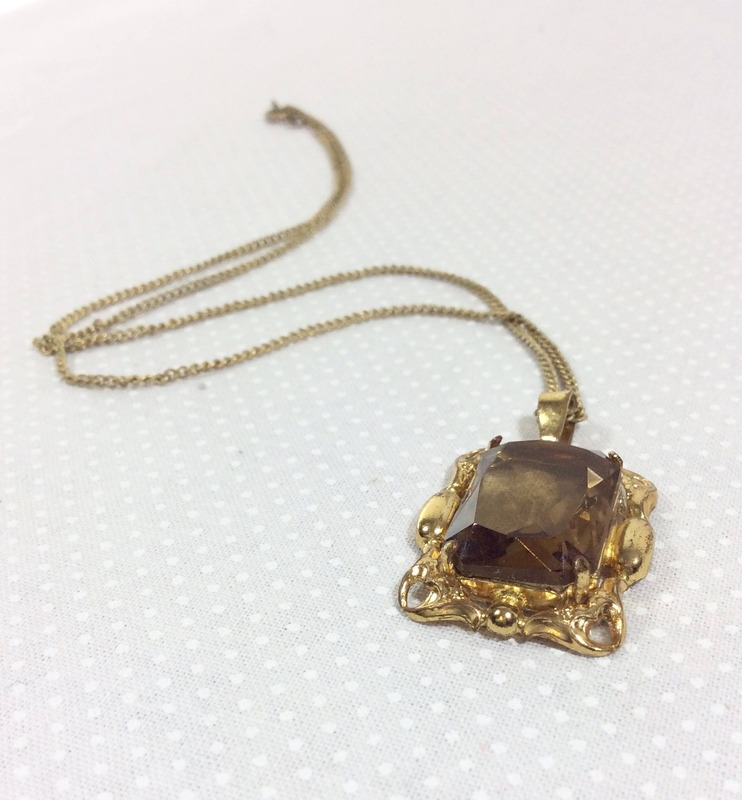 A smokey taupe colored jewel is set inside. It shines a lot more in person, the photos really don't do it justice! The sparkly yet neutral color of the stone makes it really easy to match this necklace with your wardrobe. 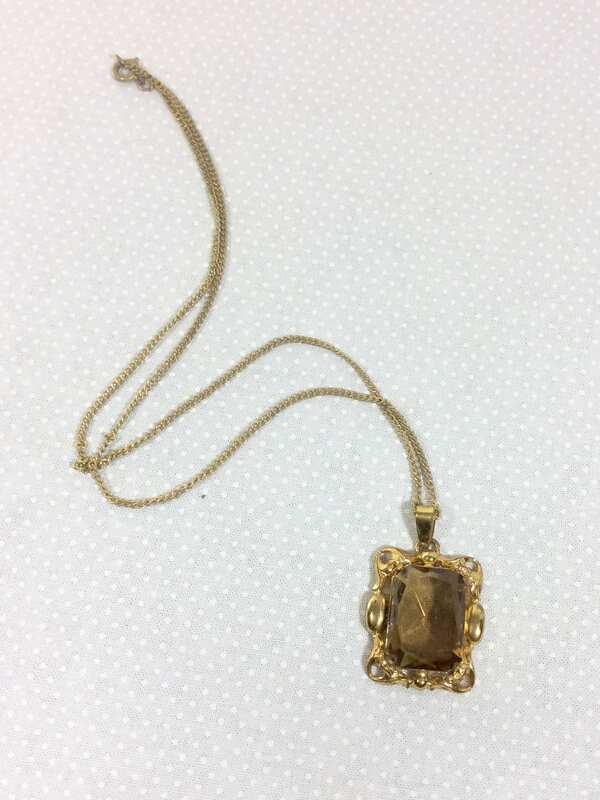 The pendant measures 1 inch tall, by .75 inches wide. The chain measures 8.5 inches long when folded in half and laid flat. There is a small amount of discoloration on the chain, but it could easily and inexpensively be replaced if desired. 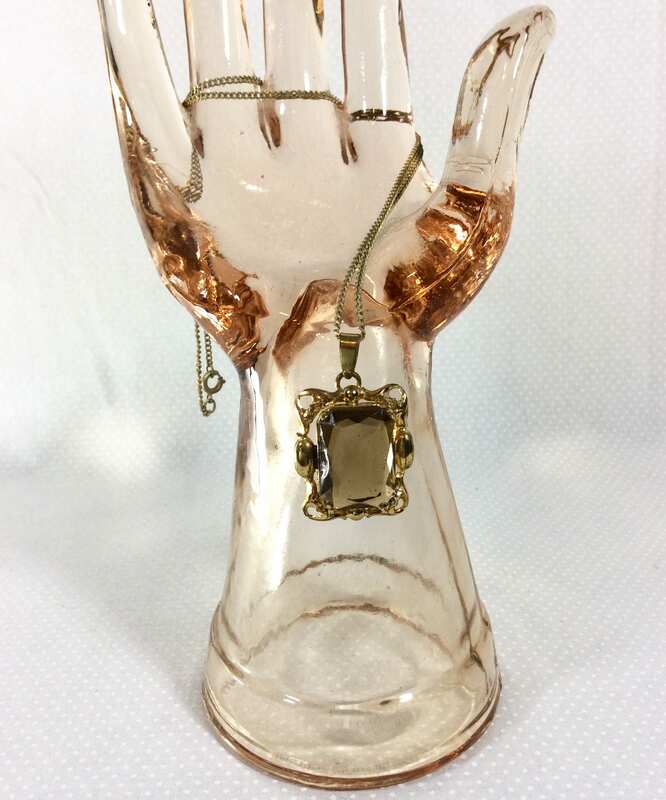 Over all this item is in good vintage condition and would make a great gift!